Rent-a-car services usually are expensive convenience. The client pays a daily rent and all the fuel costs. 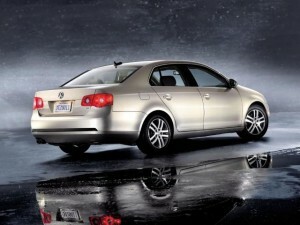 However, many people choose to rent a car for their vacation or work trip. Many companies take advantage of these services as well. Prices in Bulgaria are comparatively high. Some Bulgarians haggle for them successfully. This is possible only if the company is small private one. Larger companies have strict rules for following and this approach is not acceptable. In addition to the typical rent-a-car services there are additional ones such as renting a car with driver, renting a bus with driver, renting trucks, etc. All these services have different price. If you want to rent a car of economy class, you will pay EUR 18-20 per day. If you take it for a period of time, you will receive a discount. The compact class car will cost you around EUR 35 per day. May be it is possible for you to find a better price. If you can save EUR 5 per day, do it. A broad research is always useful. The price of rent-a-car services for standard class cars is between EUR 40 and 45. Many Bulgarians are not able to afford this amount of money. For that reason, they haggle or just take the lower class car. Rent a car of premium class is really expensive. The average price is EUR 120. You can take advantage of the driver’s services. This will cost you EUR 15 per day within the country and EUR 25 per day abroad. As you can see the costs are too much, so if you prepare a possible budget for a work trip, beware with how much you can afford and how much the rent a car company will offer you. For premium class cars the clients pay EUR 120 per day, but for luxury class cars they pay around EUR 210. The price of the second ones is doubled. 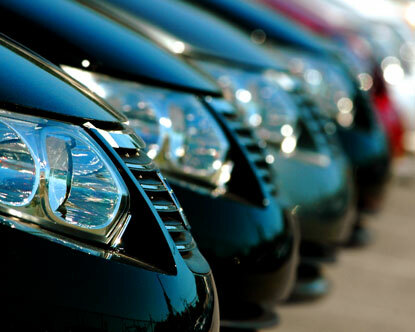 Rent a car services’ prices are not always reasonable, but most companies keep on maintain their high level. Публикувано в Без категория на 23.06.2012 от admin. There are many companies that offer rent-a-car services. According to your needs, you can choose within diverse car classes: economy, compact, standard, full size, premium, luxury, SUV, minivan. Getting to know each opportunity is a good way to become a well-informed consumer. The knowledge is power. When a consumer knows what he/she wants and why, the seller is not able to convince them to take a worst decision. Let’s look at the economy class cars. Opel Corsa is a great example of car by economy class. If you want to use rent a car services but you don’t have enough money, don’t hesitate to choose this model. The advantage of the economy car is that it is a comfortable small car with lower costs for rent and fuel. Furthermore, you can park it almost everywhere because of its size. You can order additional utilities such as a GPS, a child’s seat for the back, metal chains for the tiers in case of snow, etc. Toyota Auris is an example for compact class car. This car is really comfortable and many people choose it. This type of car is one of the most popular, because it is useful in the city and outside of it as well. If you need to rent a car with 5 separated places, this is a good option. Toyota Avensis is a standard class car. It is wide and comfortable car. Its price is higher, but its quality as well. Each traveling could be far more pleasant by using this type of car. If you want to use this car during your vacation, there is no problem for you to order additional trunk. In this way you can take with your bicycle, surf, or ski. BMW 5 series are premium class cars. Many people use rent-a-car services in cases of weddings, proms or other parties. Using premium class car is a real pleasure, but it costs a lot. The requirements for renting this type of a car are higher. Rent-a-car services are widespread all around the world. People use rented cars for variety of reasons. Demand defines supply, so the market contains this type of services as well. If you want to achieve an amazing journey in Latin America, you should plan it earlier. There are many important details that you should check and clarify. Plane tickets and a hotel are the basic ones, but if you really want to feel the Cuban spirit, you should get to know the Cubans and their culture. It is easier for you to book flights and a hotel and spend a week in anyone of the great Cuban resorts. In this way you will miss the most exciting part of visiting Cuba- meet its people and culture. So, don’t hesitate, rent a car and let’s your journey begin. 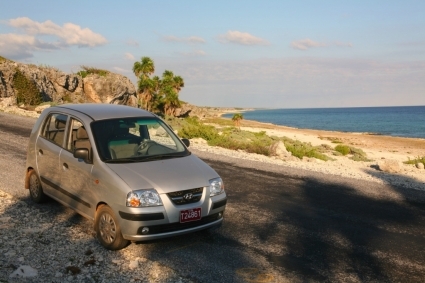 By using rent-a-car services, you can do an extraordinary tour within the country. You can visit Havana and its surroundings and other towns such as Matanzas, Guanajay, Marianao, Villa Clara, etc. You should bear in mind that the rent-a-car offers in Cuba are limited. Check the opportunities in advance and learn what you can expect. You should know that it is banned for the Cubans to take you in their car, so having personal mean of transportation and relevant documents is the best way to enjoy your vacation in Cuba without additional problems. Using rent-a-car services means additional costs, but it worth it. As we all know cars in Cuba are old-fashioned. Local people don’t have a right to own a modern car. However, car, they will offer you, are diverse and the most important- they are up-to-date. So, you should be patient because your car will be secure. There is another way to travel in Cuba- by using Viazul Bus. This opportunity is cheaper than rent-a-car services. May be it is not so comfortable, but it is a good option for you as well. The Viazul bus stops every 1.5- 2 hours and its passengers can relax. If you really want to spend amazing time in one of the amazing countries globally, you should take a risk and rent a car. The experience will be unique. Make a broad research and take advantage of the great opportunity to travel individually throughout the beautiful nature of Cuba. Welcome to our web page where you will find more information about our main service - we offer cars for rent in many countries on three continents. Do you want a car in Bulgaria, Romania, Cuba or the Czech Republic? We can help you. Just find some of our offices and you will get what you need. We offer many different type of cars in three classes.